Interview With John Grantham, Author Of "The World's Hardest Music Trivia: Rock N Roll History, Fun Facts And Behind The Scenes Stories About The Groups And Songs You Thought You Knew"
A television news chief courts his anchorwoman ex-wife with an eleventh-hour story. A self-professed biblical archaeologist who has fallen on hard times starts to bend the truth in order to continue inspiring the faithful. A nosy cab driver gets a hot tip on a race horse and wins big, but he can't seem to stop gambling. Will he go broke or walk home with a pretty penny? Delmount Williams: Please, don't make me treat you like dogs. 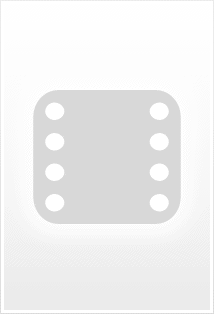 I don't want to treat you like common dogs. The movie is not the play. 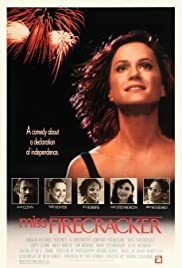 I might have enjoyed this movie more had I not already been very familiar with The Miss Firecracker Contest, the award-winning play on which the screenplay is based. The play is as neat and compact as the film is muddled and overblown. I loved the play and was disappointed to see that some of my favorite elements were changed for the film. The play is set in Brookhaven, MS, has a cast of six, and plays like a symphony with recurring themes and a distinct rhythm. The film moves the action to Yazoo City, a somewhat more industrial setting, so it loses some of the "southern charm" of the play. The film shows us the other contestants, the audience members, and various other members of the community. This "carnival atmosphere" distracts us from the core issues of the play, which are Carnelle's relationship with her family and her need to find her place in the world. Although I feel that Alfre Woodard did a stellar job in portraying Popeye Jackson, this role was originally written as a very backwoods white girl. The change to a black character made it impossible to keep the very sweet romance between her and Delmount in the screenplay. In the film, Elaine, played marvelously by Mary Steenburgen, displays a certain mean streak which is absent in the play. In conclusion, Miss Firecracker is a very well-acted but overly busy adaptation of a beautifully succinct play about a very eccentric southern family. I recommend the movie for the performances of Holly Hunter, Mary Steenburgen, Tim Robbins, and especially, Alfre Woodard. I also recommend reading or seeing the play to really understand the core characters and their relationships to one another.